Arcia has blossomed into a bona fide top-100 prospect, if not more. He’s hitting .308/.351/.448 with four homers and eight stolen bases for Double-A Biloxi, and his defense has also gotten rave reviews from scouts. He’s a well-rounded hitter with sneaky pop, which should allow him to wear out the outfield gaps with 25+ doubles per year down the road. The most encouraging piece of Arcia’s development is that he has not only handled the most arduous jump in minor-league baseball (from High-A to Double-A), but that he’s also improved in the process. The 20-year-old is hitting for more power than ever before, while keeping his strikeout rate at just 12.2 percent. One of the other things that stands out about Arcia is his mentality on the diamond. I’ve seen the shortstop perform drills in big-league camp in spring as a teenager, and he held his own. The pressure of playing with superstars like Ryan Braun didn’t faze him. He looked like he belonged; moreover, it looked as if he thought he belonged. Arcia has a bit of swagger that one desires from prized recruits. I talked to a former major-leaguer with the Brewers a couple years ago who readily sang his praises. This isn’t to suggest that the young man is poised for super-stardom at the major-league level. It is, though, to suggest that he should hold his own in the majors — which is a massive compliment in itself for a youngster in Double-A. He has a chance to be a first-division starter, too, if everything breaks right. Long-time readers know that I’ve pegged Reed as a future major-leaguer for a couple years. I’ve primarily seen his future role as a potential fourth outfielder, but the former fifth-round draft pick has taken a massive step forward this year and now has some scouts believing he could develop into an everyday player. He’s hitting .293/.379/.453 with five homers and 20 stolen bases with Double-A Biloxi and has pounded out 17 additional extra-base hits. 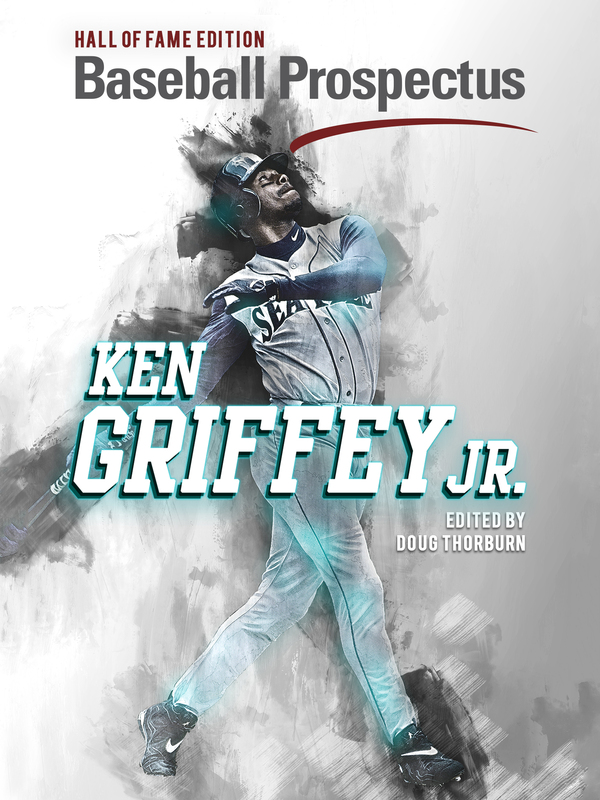 The hope is that he can reach the double-digit homer plateau and mature into an above-average defensive corner outfielder with just enough pop to carry the position — something that is more acceptable in today’s depressed offensive era. The ultimate upside is perhaps what Jason Heyward has done the past couple years, with a few more strikeouts and less defensive value. Still, Reed has a high baseball IQ and is really hitting his stride as a professional baseball player. There’s a lot to like here. 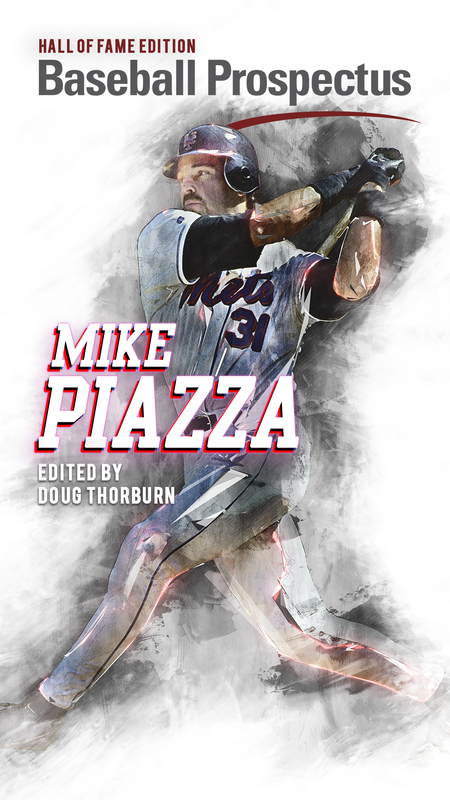 This site has already talked a bit about Diplan — with a more in-depth article to come, actually — but the right-hander has flashed big-time stuff in the Pioneer League. His fastball runs into the mid-90s, and his curveball has above-average potential. His future success is dependent upon the development of his command, per usual, and his fringy changeup. He doesn’t have much margin for error to be successful a starter, as he only stands six-feet tall and doesn’t appear to have the build to handle a high workload; however, the early returns on the stuff have been electric. This is his first season in the states, as he pitched in the Dominican Summer League with the Texas Rangers in 2014, but Brewers fans should be elated. Expect to see much more on Diplan next week. Last autumn, Williams capped off a banner season with brilliant performances in instructionals. One non-Brewers scout even opined that he was the best arm in Milwaukee’s system, markedly better than Devin Williams and Kodi Medeiros. The right-hander touched the upper-90s with an above-average slider and a changeup that flashed potential. The biggest concern with Taylor Williams has always been his short stature, as he’s generously listed at 5-foot-11, and the high level of stress in his delivery. It’s primarily the reason why scouts have boxed him into a reliever role, but his quality performance in the regular season last year and his much-hyped instructionals had many wondering if he could develop into something more. It has been a lost season for Williams. He’s been dealing with a right forearm injury, which is traditionally connected to elbow problems and often is a precursor to Tommy John surgery. The latest information regarding Williams’s injury is that it’s just a forearm, and not an elbow injury, but he has yet to return to the mound. The fact that it hasn’t improved is further evidence that the true issue could reside in his elbow. If that’s the case, not only does it significantly hinder his path to the big-leagues, but it validates many of the durability questions that have plagued him. People don’t like when pitchers with quality stats and above-average stuff are denigrated for having a “bad body,” but Brewers fans have recently been through this dance with Tyler Thornburg. Pitchers under six-feet have a problem getting good downward plane on their pitches and particularly struggle with the heavy workload of starting. Even the quintessential counterexample, Tim Lincecum, has become a shell of himself in recent years. Short pitchers like Williams have many obstacles to overcome, and his injury issues indicate that a back-end relief role may be his best future position. Although Harrison was the Brewers’ third selection in the 2014 draft, he came with the most excitement. Expectations rose when he hit .261/.402/.339 with 32 stolen bases as an 18-year-old in 2014. However, the former football standout hasn’t performed well this year. In 46 games with the Wisconsin Timber Rattlers (Class-A), he hit .148/.246/.247 with a massive 41.8-percent strikeout rate. The common aphorism is that one shouldn’t scout the box score, but it’s not difficult to ascertain that the Midwest League overwhelmed Harrison. Since returning to Helena, things haven’t gotten much better. He’s hitting .186/.314/.395 with a pair of homers and three stolen bases in 12 games. It must be recognized that raw 19-year-old prospects often struggle in every organization and at every level. It’s not uncommon. Our own Michael Schwarz illustrated that beautifully in his piece last week. However, it has become readily apparent that Harrison is a long-term project and not one that will rocket up the system. Brewers fans must be patient. One scout tried to temper my optimism in the spring, saying that one really had to dream in order to see what Harrison could become down the road, as he’s far too raw. Expect his performance to improve in the Pioneer League this summer; however, the early-season optimism surrounding Harrison and his potential path to the big leagues has crashed back to earth. He remains a top-10 prospect, to be sure, but the road ahead is much longer than expected. Woodruff, a 6-foot-2 fireballer from Mississippi State, had a bit of helium coming into the 2015 season. He impressed scouts in the instructional league last autumn, flashing three at-least-average pitches with his fastball, curveball, and changeup. The Brewers gambled on his arm strength out of college, as he’s always struggled with command and consistency; however, his late-season performance in 2014 encouraged the organization. For this reason, the organization pushed Woodruff to High-A Brevard County this season. Unfortunately, though, his success hasn’t carried over. Through 13 starts and 71.0 innings, the right-hander owns a 4.06 ERA with a measly 11.8-percent strikeout rate, which is highly unusual given his power profile. His two most-recent outings have been better — with just two earned runs allowed in 14 innings — but the overarching concerns don’t dissipate because of two starts. The silver lining is that Woodruff has always profiled best in the bullpen. The Brewers prefer to keep their power-relief prospects in the rotation at the lower levels of the minors, in an effort to build their arm strength and their secondary offerings, so Woodruff’s developmental path isn’t necessarily off-track. In fact, it mirrors the Brewers’ treatment of David Goforth a couple years ago — keep him in the rotation until Double-A for the aforementioned reasons, then transition him to the bullpen to specialize his development. Placing Brandon Woodruff in the “trending down” section isn’t necessarily a reflection on his big-league potential. He’s still possesses the ability, with his fastball-curveball combination, to be a reliever in the majors. What has changed, however, is the excitement surrounding him after his performance during instructs last autumn. Some scouts and some within the organization hoped that he turned a corner. Those hopes seem to have faded for the moment. Shortstop Orlando Arcia will represent the Milwaukee Brewers and his home-country of Venezuela in the annual Future’s Game. In the past, it has been broadcast on ESPN2 and MLB.com, so many fans will get their first glimpse at the Brewers’ number-one prospect. If he performs well in pre-game drills or during the game, his national attention should explode. That is one of the effects of the Future’s Game, after all. It places dozens of national writers in the same place to watch and hype the best prospects in the league. If a guy performs well on that given day, his national stock explodes. The Brewers have promoted shortstop Blake Allemand to Class-A Wisconsin. Allemand — a polished college senior — hit .365/.411/.442 with three stolen bases through 12 games. 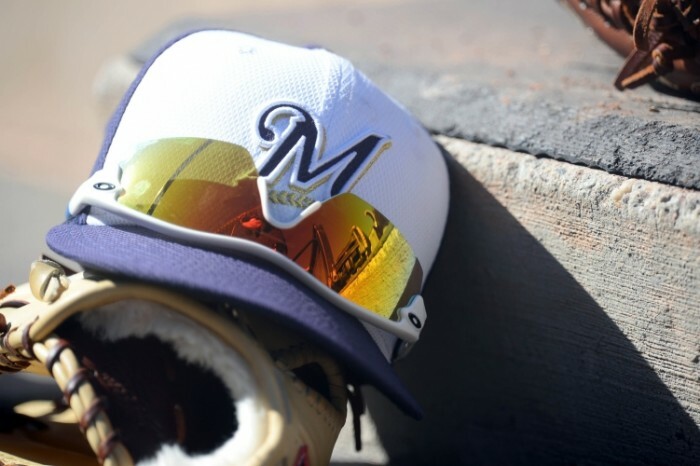 Draft experts praised the Brewers for selecting Allemand in the fifth round of last month’s draft, suggesting that he could move quickly through the Brewers’ system. That has proven accurate in just the first two weeks of his professional career. The former Texas A&M standout best profiles as a utility infielder down the road, and while that may not excite the average fan, getting that type of potential from a senior-sign who only commanded a $40k bonus would be a huge win for the organization. Right-hander Cody Ponce also got the call to Class-A Wisconsin. We discussed him a bit on Monday. I have yet to see Ponce throw this year, but early reports from scouts are positive.